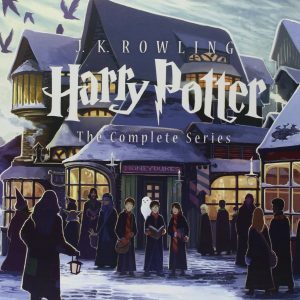 Last week, we celebrated the Harry Potter series’ 20th birthday with a look into the infamous 90’s Potter Boycott, and whether Christians should reject Harry outright or seek to redeem him. In that article, we alluded to some of the things to watch out for and discussion questions to ask about the series; but there’s so much more to see. 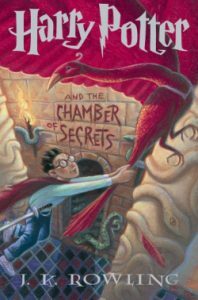 The seven Harry Potter books are chock-full of really good, meaty story. So let’s take a quick look at all of them. Alert: Some of these brief notes may definitely contain spoilers for the series. Enemies of the heir, beware. 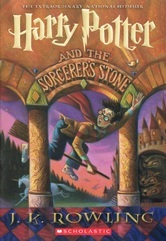 In Sorcerer’s Stone (or Philosopher’s Stone, if you’re outside the United States), we’re introduced to Harry and the wizarding world; but an overwhelming truth behind Harry’s existence is that our desires define our identity. Take the Dursleys, for example. In their driving desire to be seen as normal and even well-to-do, they constructed an entire identity around being a quiet family in a quiet house in a quiet neightborhood. Harry threatens that identity, so they hate him for it. Especially when he is called away to Hogwarts. Or take Voldemort, whose desire to be an immortal ruler of darkness changes not only his own identity, but the identities of others around him. Or even take Harry Potter himself, a young man whose desires to be liked and to be helpful create a heroic identity, one which ends up literally saving the day when the Mirror of Erised deems his desires to be worthy. What desires should our Christian identity be defined by? specific desires? I recommend taking a look at Matthew 6 and John 13, but the whole Bible is really a manual on God; and He has planted a desire for Him deep within in our hearts. This is why our hearts resonate so deeply with this focus on identity and desire. Chamber of Secrets introduces us to the concept of “mudbloods,” a derogatory term for wizards who are not from pure wizarding stock (that is, they they have non-magical lineage in their distant or recent past). While much of the Wizarding World has no problem with this mixed race, there are some who are incredibly intolerant of this miscagenation, even violently so. This concept will come to a head later in the series, but it is introduced in the second book when Draco Malfoy (a pure-blooded wizard) hurls the slur at Hermione Granger (born to two “muggle” parents). It’s not uncommon for Christians to be called intolerant today. But are we really? More to the point, should we be? Will we be, in Heaven? That the answer is “no” shouldn’t come as a surprise, but what does this mean for our everyday interaction with those around us? With those who are different from us? With those who are even far away from us? It seems like everyone and everything in this entire book has more than one side to it. 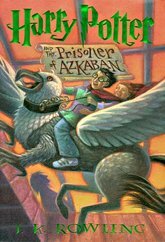 Prisoner of Azkaban introduces more nuanced shades of gray than either of the previous stories; it presents us with Sirius Black, and his two narratives of “dangerous criminal” or “misunderstood hero;” we also meet Remus Lupin, who is literally a two-sided man depending on the phase of the moon. 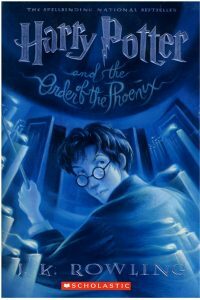 Harry’s story becomes more muddled in the third book, and finding the reality becomes more and more difficult. Every story and person we see has two sides to it, except for one. Your story, my story, the person we both meet, the narrative surrounding some bit of news or unexpected occurrence; they all have two stories. There’s no hedging or equivocating with the Gospel; it’s the story of God sending His son to save us. So how can it help illuminate the stories around us? How should it illuminate your story? How can you use it as a shining beacon to see the truth around you? 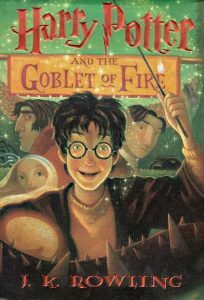 Building on the previous book’s uncertainty, Goblet of Fire introduces us to further confusion about right and wrong. More than just having two stories that seem equally plausible, in the fourth book, the reality is often the opposite of what seems most likely. Think of Mad-Eye Moody, who has a dark secret; think of the titular Goblet that Harry seems to have rigged for himself; think of the merpeople who seem fair in stories but horrifying in reality. Even his return with Cedric’s body at the end of the book would seem to be a cause for rejoicing, but it’s a profoundly sad moment of loss for Harry, for Hogwarts, and with the return of Voldemort, for the entire Wizarding World. It can often be difficult to discern truth from fiction in even the things that matter least; so what do we say in response to people who claim that God is not good, or to those who seek to stir up confusion and mistrust? If you’re not sure what’s true, what should you do? I recommend Psalm 34, but there are other Psalms with good answers to this question, too. How can we explore this further? Part of the Potter fandom’s fury at Umbridge is bound up in her overt corruption and injustice. She’s such a real-life villain; we probably won’t ever meet a Voldemort, but we all know Umbridges already, with their thirst for control at all costs. They haunt our work, school, and maybe even church. We all also know real-life Dementor victims; people overcome by extreme depression and despair, people who feel like a shadow of their former selves. Maybe we’ve even seen it in our own lives, as the color begins to drain from the world and everything seems to lose its sheen of reality. These types of people haven’t always been dealt with well by the Church in the past; the Umbridges have not always been rebuked, and the dementor victims have not always been helped up out of their pain and comforted. Sadly, the opposite has even happened, with dementor victims rebuked and Umbridges lifted up. Is that the intended way of things? Is injustice supposed to reign? Should those who are depressed be ignored? 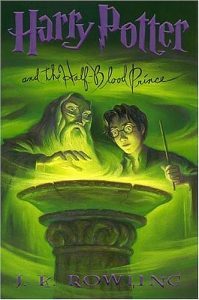 But it is clear throughout the book, and even more so in his death, that Dumbledore’s actions in the sixth book are all sacrificial and loving for the students of Hogwarts and the wizarding community in general. But when he lays down his life, it’s not for Harry; at least, not directly. It’s to save Draco Malfoy from the pain and destruction of breaking a vow he made to the Dark Lord. The sacrifice is for a person who hasn’t ever deserved it; someone who has been a thorn in the protagonists’ sides since book one. The sacrifice is for a subjectively evil person. The Bible tells us that we, too, are objectively evil; that our hearts are sick, that we’ve made deals that will destroy us. Is there someone who dared to die…for you? As the series comes to an end, Rowling still has time for some fascinating world-building about three brothers who all met death, each of whom had a different response to him. The one who received the Resurrection Stone sought to overturn death. The one who received the Elder Wand sought to overpower death. But the brother who received the Invisibility Cloak simply sought to outwit death; and, at the end of his life, greeted him as a friend. The book is clear that the “right” and “noble” response is to seek cunning and not fear death, rather than to seek power or strength. So what sort of responses to death have you seen? Which ones are Godly? What does death mean to the Christian? How does Harry respond to his own impending death? And should we fear death? 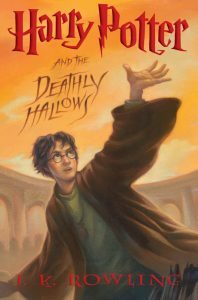 It’s not often that we cover a story on Redeeming Culture where the author has explicitly told us what Biblical themes they intended to put forth in their writing, but with J.K. Rowling, we have. The Harry Potter books are explicitly about the writ-large battle of good and evil; they’re quite clearly, in the end, about redemption and resurrection and sacrifice on behalf of those who don’t deserve it. But they’re also about the immense power and protection of love; how it drives out fear and the depths to which it moves us. They’re about the power of friendship. And they’re about even more than that besides. What do you think? What are the major themes of Harry Potter? Are they really summed up in the verses that Rowling placed in Deathly Hallows – namely, 1 Corinthians 15:26 and Matthew 6:19? How does the greater context around those verses change your view of the series? And if Christ has not been raised, your faith is futile and you are still in your sins. Then those also who have fallen asleep in Christ have perished. If in Christ we have hope in this life only, we are of all people most to be pitied. But in fact Christ has been raised from the dead, the firstfruits of those who have fallen asleep. For as by a man came death, by a man has come also the resurrection of the dead. For as in Adam all die, so also in Christ shall all be made alive. But each in his own order: Christ the firstfruits, then at his coming those who belong to Christ. Then comes the end, when he delivers the kingdom to God the Father after destroying every rule and every authority and power. For he must reign until he has put all his enemies under his feet. The last enemy to be destroyed is death. The world we lived in has been endangered by sin. It doesn’t just want to stick around, it wants to dominate. It wants to rule our hearts and lives. It wants to destroy us, because it is the death brought by our own rebellion. But God, knowing our danger and our fear, sent His son to redeem and save us; the prophecy foretold He would come, and He did – a little baby, protected only by love, who would some day destroy the evil one entirely. And when He returns to call us home, on that day, He will cleanse us from our sin and unrighteousness, and we will live forever with Him. Our sin will be destroyed. Our lives – perfected and beautiful – will be restored. And so the last enemy to be destroyed will indeed be death. We’d love to hear from you on the questions from this article in the comments below or on Facebook. Thanks for taking this journey with us into the Wizarding World! If you haven’t already, don’t forget to read last week’s article about rejecting culture and Harry Potter. This entry was posted in Literature and tagged Gen Con 2017, Harry Potter, quick thoughts. Bookmark the permalink.